A great portable music stand for the traveling musician! This music stand folds down into a small carrying bag. Even the desk top folds down! 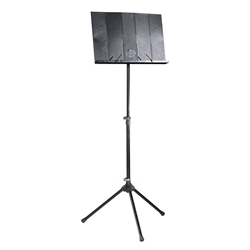 High strength tubular steel makes this a sturdy, yet lightweight music stand. A must for any musician!